Home→Announcements→The ABCs of Log Homes V1.2 Now Available on YouTube! 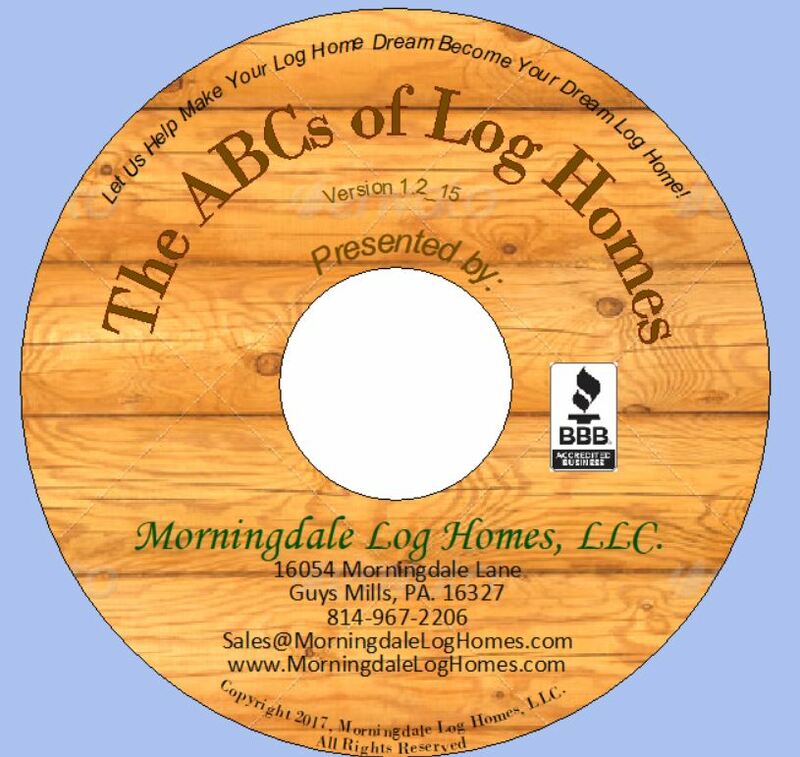 Morningdale Log Homes is pleased to announce that Version 1.2 of our informative presentation, The ABCs of Log Homes© is now available three ways – on YouTube or on mini-DVD. This presentation has been widely acclaimed by those attending the various log and timber, and home and garden shows where we have presented it live far beyond our dreams. We have received praises from attendees on its content and even had several attendees say they learned more in the first 15 minutes of our presentation than they had in a day-long seminar that a competitor had sponsored a week earlier at their facility. We know that not everyone is able to attend our seminars at shows or come to our Open Model events, so we have made our presentation available to everyone by posting it on the Morningdale Log Homes’ YouTube Channel . The video is a PowerPoint presentation, and each slide will transition after about 15 seconds. The entire video is about 28 minutes long. To view the presentation now, click on the image of the DVD above OR the link (in blue) below. As we are always striving to improve upon our work, after viewing the presentation, we would greatly appreciate you leaving your feedback in the Comment section below. The ABCs of Log Homes – Copyright 2017 by Morningdale Log Homes LLC. If you would like a copy sent to you on mini-DVD please contact us using our Contact Form.